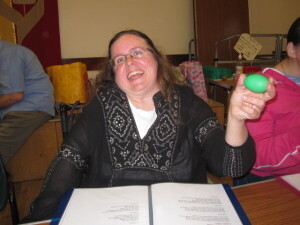 Provide group interactive music sessions that involve the voice, percussion and props to help people of all ages have fun while improving their health and wellbeing. We’ve arrived at the sea-side as part of our ‘musical day out’! Work with people living with a range of social, physical or emotional conditions and their carers to help improve their health and wellbeing. These improvements may be achieved via the wide range of social, physical or emotional benefits that participating in music sessions can bring. 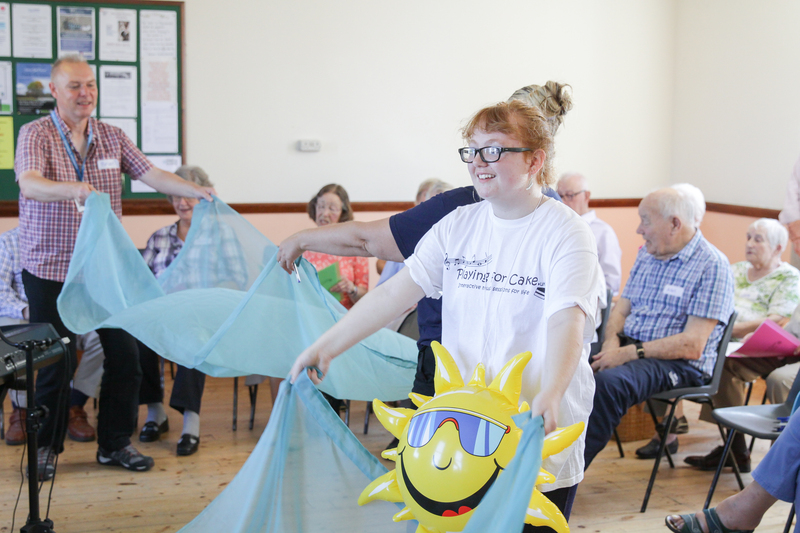 Work with health care professionals and community group leaders to understand specific health issues that some people are experiencing so that we can design music activities that can help target specific health needs or goals. 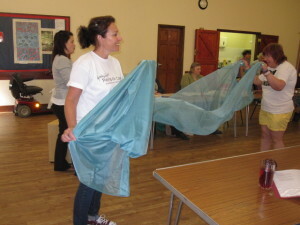 Playing for Cake acts as a social enterprise and on a not-for-profit basis, gaining funds to enable us to provide sessions at a highly subsidised rate (if not free) to participants where there is need. 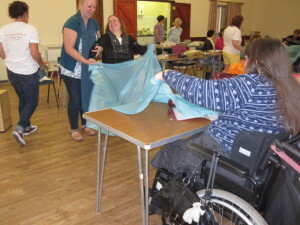 Fundraising activities include delivering sessions at the full market rate to groups with the ability pay (and thus where a proportion of the fee can be used to fund other sessions more cheaply or for free) as well as grant applications, private donations etc. We support local musicians to help them develop their music skills and abilities through their participation in the delivery of the music sessions described above. 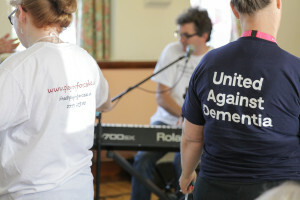 Session volunteers/musicians may be people from the target groups of people that PFC aims to work with, i.e. 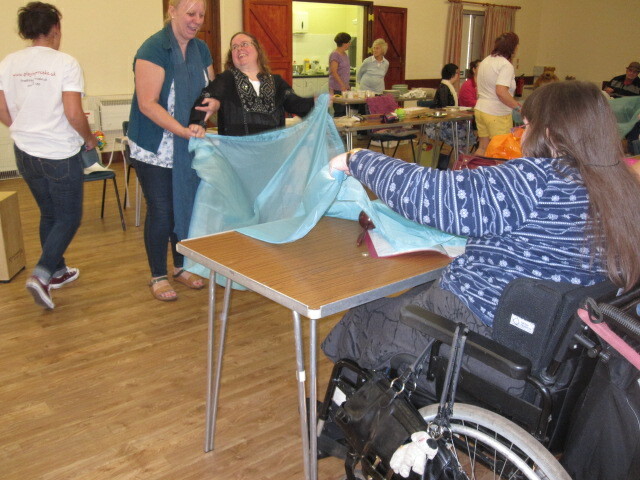 people living with particular health conditions or disabilities. Interactive music session involving props!